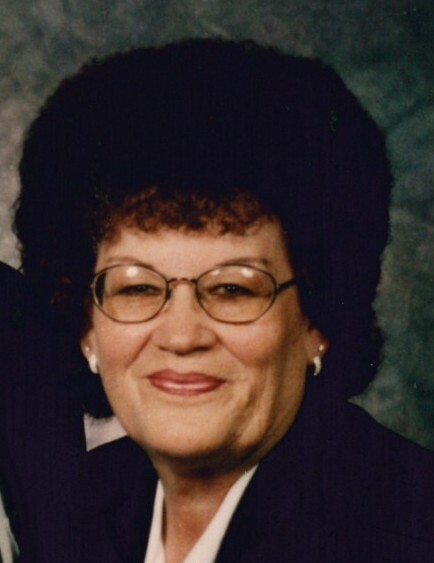 June LaNae Nield Jensen passed away on January 29, 2019 in the Star Valley Care Center, she was 82 years old. LaNae was born on the 23rd of May 1936 in the family’s old white house on Nield String, to Rollo Nield and June Steed Nield. There were six kids, LaNae being the oldest then Karen, Boyd, Reed, Farrell, and Ted. LaNae was also the oldest granddaughter of Ben and Ada Nield. She attended school in Afton, Wyoming, and was a lifelong member of the Church of Jesus Christ of Latter-Day Saints. She grew up working, doing all the chores that go with a farm life. Helping milk the cows, helping in the hay field, and going on cattle drives when they ranged the cattle up Greys River. There she liked staying in tents and having breakfast over the campfire that her grandpa used to fix. Later in her teenage years many kids her age would go to dances on Saturday nights at the Valleon Hotel. It was at these dances where she met her husband Eugene Jensen. In 1954 on the 27 of May, Gene and LaNae drove up to Jackson in Genes 49 Ford. They took their mothers with them and were married. They had 4 sons and a daughter Brad, Kirk, Rex, Deanne, and Rod. After they were married they tried to stay in the valley for awhile looking for jobs, but all they could find was seasonal work, so in 1958 they moved to Salt Lake City, and stayed there for two years. In September of 1960 they made their way to Climax, Colorado, and a year later moved to Leadville. They moved to Salida in 1964, and in 1968 they moved to Colorado Springs until 1978. When all the kids were grown, they bought a fifth wheel trailer following the construction work, and moving to various places in Colorado, and Utah. In 1986 Gene and LaNae decided to go back to Star Valley for retirement and made their home in Auburn. LaNae was so glad to be back with all her friends and family. LaNae loved her family so much they were the most important thing to her. She was such a good cook, and homemaker. Gene and LaNae were sealed in the Idaho Falls Temple on July 23, 2010. LaNae was preceded in death by her parents, and brothers Boyd, Reed, and Ted. She is survived by her 4 sons, and a daughter Brad, Kirk (Barbara), Rex, Deanne, and Rodney. She had 17 grandchildren, 15 great grandchildren, and 1 great great grandchild. She will be loved and missed. Services were held in the Meadows Ward Chapel on February 2nd, 2019. Internment was in the Afton Cemetary.